Abetalipoproteinemia was first described by Bassen and Kornzweig, and it is also referred to a Bassen-Kornzweig syndrome. The disease has an autosomal recessive mode of inheritance. The clinical syndrome is dominated by symptoms of intestinal malabsorption and growth retardation. Neurological symptoms usually become manifest after 5 years of age, but sometimes earlier. The most prominent feature is progressive ataxia. In addition, progressive generalized weakness occurs, with ptosis, ophthalmoplegia, facial weakness, and weakness of the tongue and extremities. Pigmentary retinal degeneration, also involving the macula, leads to progressive visual failure. 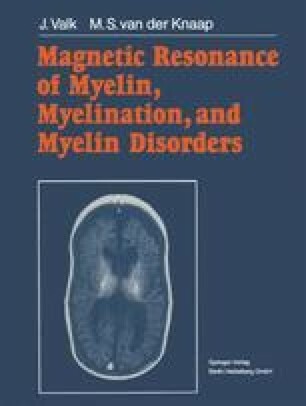 Neurological examination reveals nystagmus, absence of tendon reflexes, and often extensor plantar reflexes and muscular wasting, which may be severe. Sensory examination reveals a severe loss of vibration and position sense, whereas the superficial sensation is relatively preserved. The ataxia is the result of disturbed sensation in combination with cerebellar dysfunction. Kyphoscoliosis and pes cavus are often present. Cardiomegaly, congestive heart failure, and arrhythmia are sometimes noted. The neurological picture may remain stationary for many years or be insidiously progressive, so that the disease runs a protracted course.